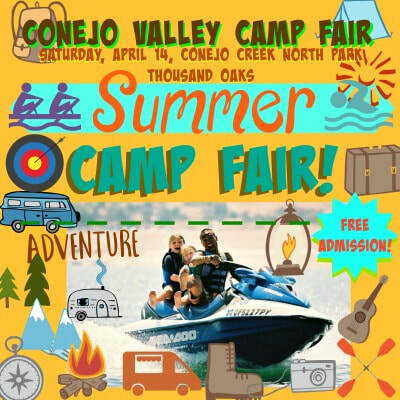 The Conejo Valley Camp Fair is a free, live, interactive summer camp expo taking place Saturday, April 14 at Conejo Creek North Park in Thousand Oaks. 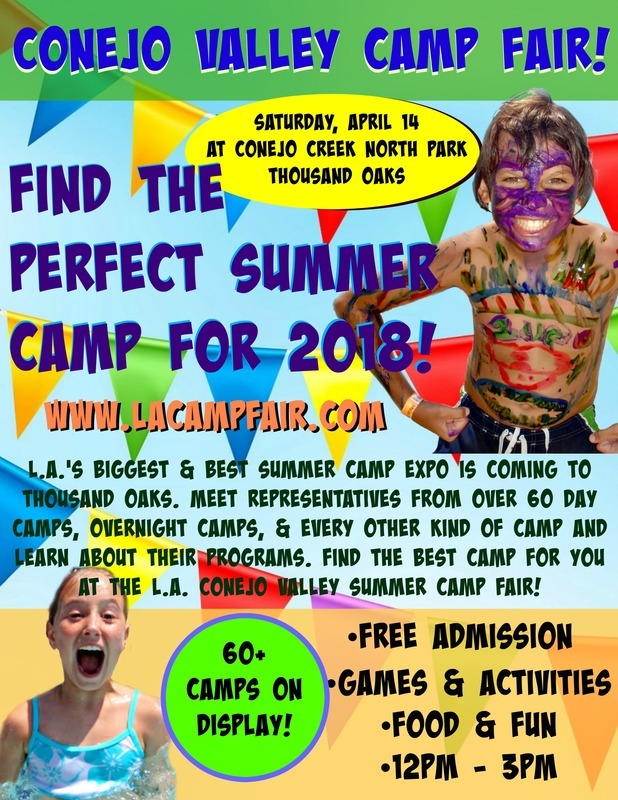 Part of the 2018 family of L.A. Camp Fair and expo events, over 50 day camps and overnight camps will be exhibiting at the Conejo Valley Camp Fair. 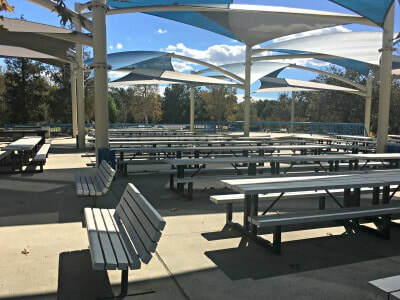 If you live in the Conejo Valley and you're looking for the perfect program for your child this summer, you can't afford to miss this free event. It's a veritable "one-stop-shop" for finding the perfect summer program for your kids this year. 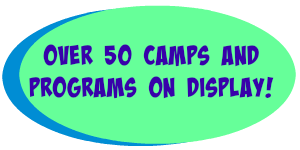 What Kinds of Camps Will Be at the Camp Fair? The short answer is, all kinds. We realize kids have many different interests, and families have different budgets. 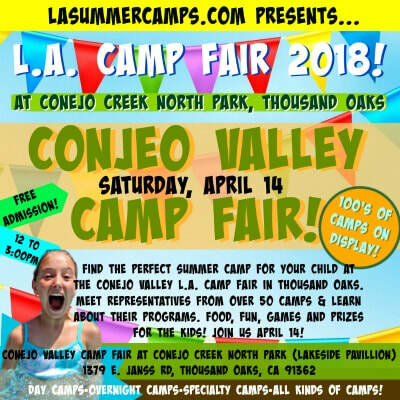 With such a wide variety of camps and programs exhibiting at the Conejo Valley Camp Fair -- including day camps, resident (also called overnight and sleepaway) camps, specialty camps, art camps, sports camps, robotics camps, STEM camps, academic camps, gymnastics camps, and more -- you're guaranteed to find what you're looking at the April 14 Conejo Valley Camp Fair. Which Camps are Exhibiting at the Conjeo Valley Camp Fair? The list below indicates the camps and programs who've signed up to attend the 2018 Conejo Valley L.A. Camp Fair with more joining each day. 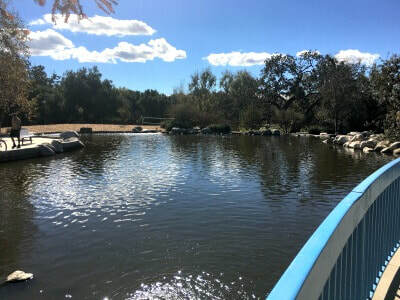 When all is said and done, you can expect to see at least 50 and camps and programs (and probably more) at the April 14 Conejo Valley Camp Fair event. Where is the Camp Fair Located? 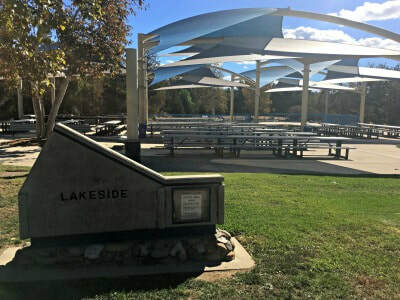 The Conejo Valley Camp will take place at the Lakeside Pavillion inside Conejo Creek North Park in Thousand Oaks. 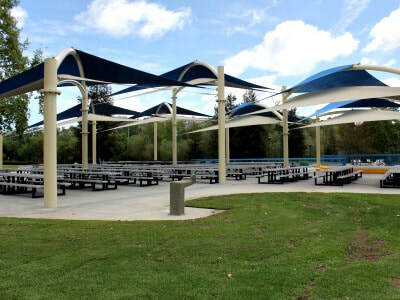 The address is Not only is this the most beautiful outdoor setting for an event like this, it's easy to find with tons of free parking, too! 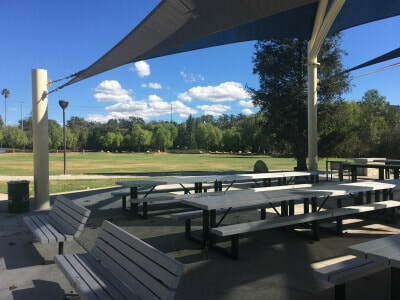 Just enter the park gate and follow the road to the Lakeside Pavillion on your left. You can't miss it!